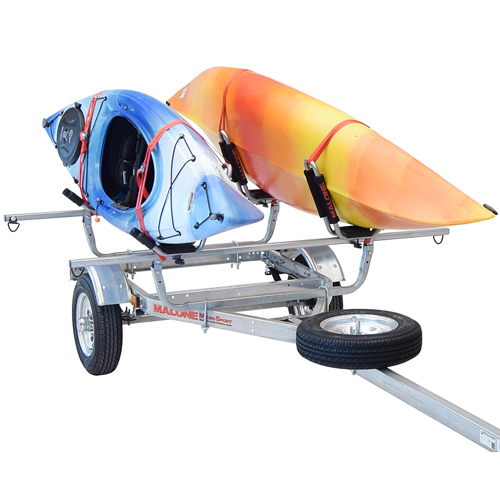 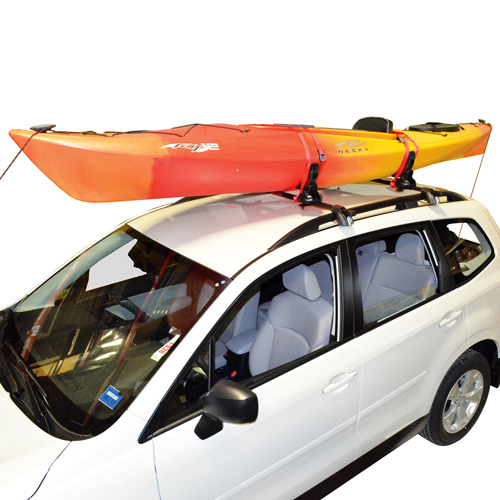 The Malone mpg119m Maui 2 is an economical and secure option for transporting one or two Stand Up Paddle boards (SUPs) or Surfboards on your roof rack. 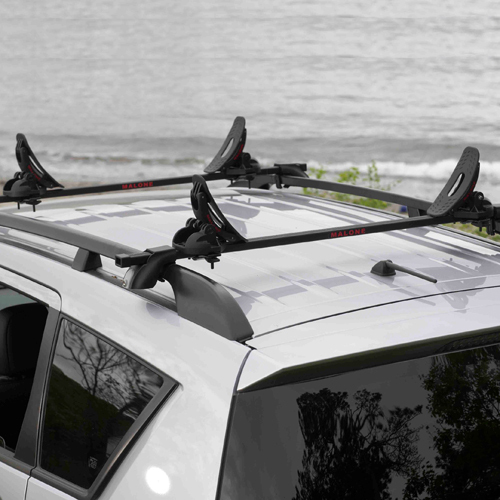 With the Malone Maui 2, your SUP nestles into the flexible, pliable, non-slip, self-adjusting saddles for a firm secure ride. 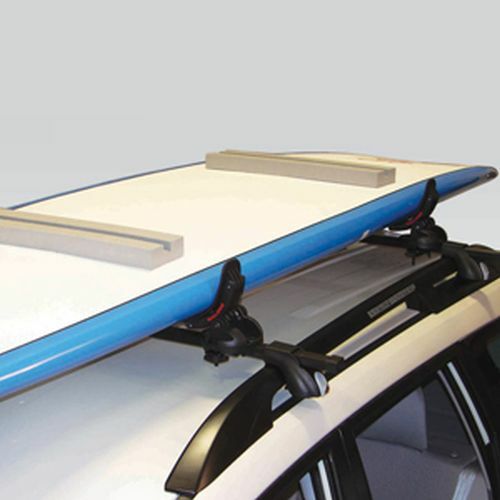 To add a second board, simply slip the 22" foam spacer pads between the boards and fasten. 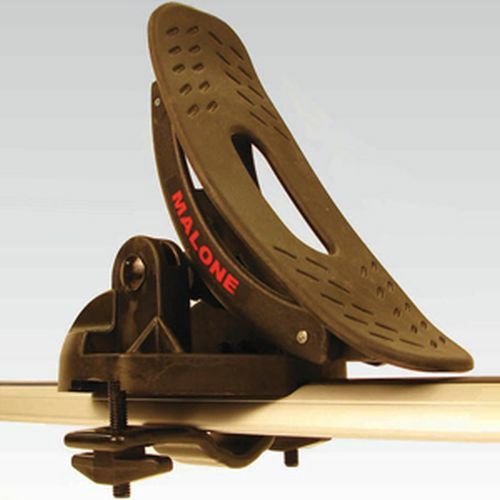 The Malone Maui 2 Saddles are constructed with injection molded nylon and thermoformed rubber for a sturdy, corrosion resistant product. 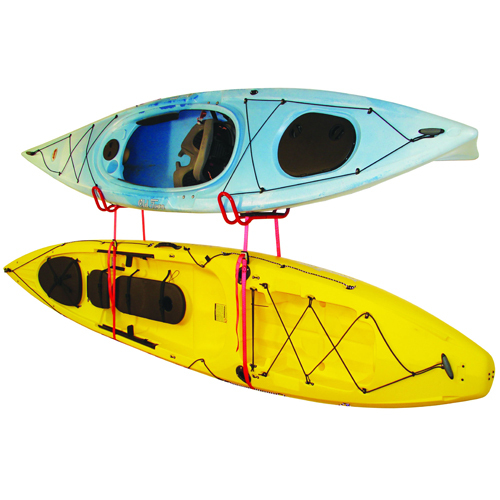 The Malone Maui 2 Kit includes 4 corrosion resistant saddles, two 12' cam buckle load straps, two 22" foam spacer pads, universal mounting hardware to fit round, square, and most factory installed crossbars. 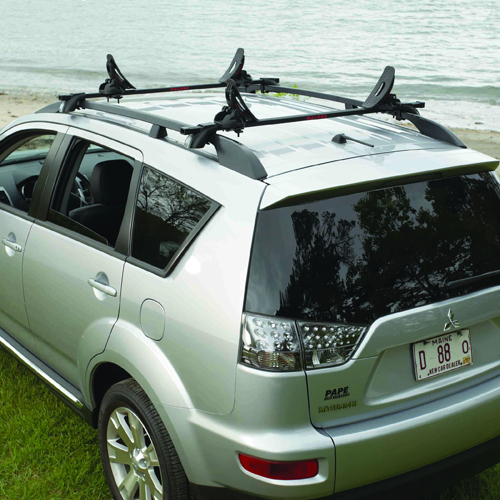 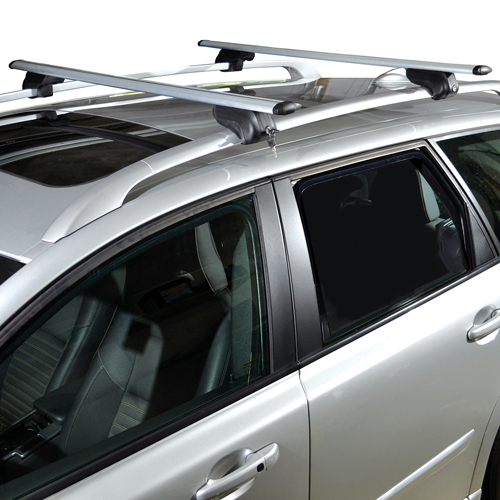 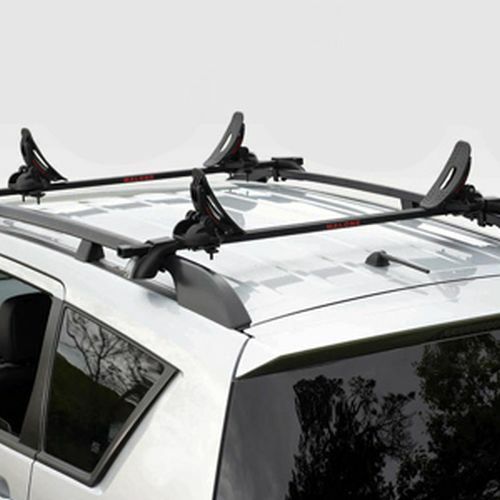 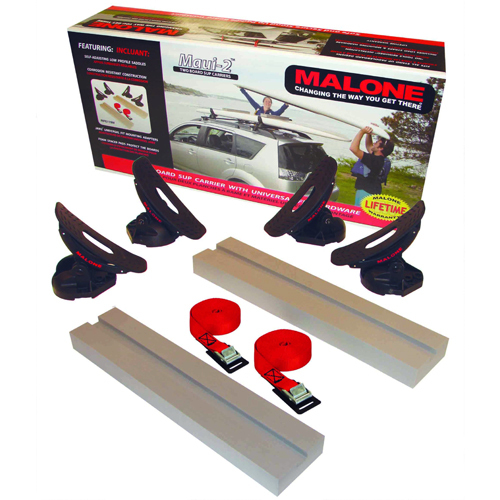 The Malone 80mm Bolt Kit (mpg364) is required to attach to Thule AeroBlade Crossbars (sold separately - see below).